If you are looking for a dentist who will look after you, the health of your mouth, and the appearance of your smile, Smilecraft Dental Care will be a welcome discovery. We pride ourselves on treating all patients with kindness, respect and care, and believe in treating patients the way we ourselves would want to be treated. We are located in the picturesque old town of Stevenage with both street parking and car parks close by. We are a 10-15 minute walk from Stevenage rail station. 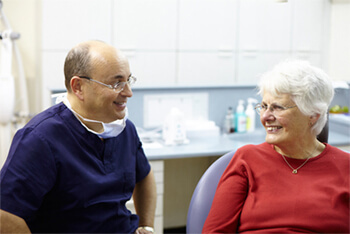 Our dentists and hygienists have a combined experience in treating patients of over 100 years. We believe in a preventative approach to dental care and encourage regular dental check-ups and visits to the hygienist, to help you maintain optimum oral health. Our team want you to have an excellent dental experience. We will listen to your concerns and address them. If you present with pain, dealing with that will always be our first priority. We use "The Wand" computerised system for administering local anaesthetic, which delivers local anaesthesia in a controlled manner without any pain. We look forward to welcoming you to Smilecraft. We continue to offer NHS treatment for children. View our NHS Choices Page.